I am very particular about the games that I like and typically arcade ‘shooters’ of one kind or another will always be at the top of my favourites list (see Top 100: The Very Best Treo Software & Services). One of these has been the completely addictive SkyForce that I reviewed and raved about almost exactly a year ago (see May the Force be with You) and which after many, many hours of gameplay I can still wholeheartedly recommend as one of the most fun and graphically rich games around. Naturally, any game can grow a little ‘tired’ if you play it over and over again for a full year. I was therefore overjoyed when I recently received news that a completely new version of the game called SkyForce Reloaded had been released. I couldn’t wait to take it for a spin and my recent 15 hours plane ride to Hong Kong provided ample time to do so. Those Treonauts already familiar with the original SkyForce will have no trouble jumping straight into the shooting action of the Reloaded version as the main changes consist of new graphics, music and sound effects as well as new enemy ships and defenses. Additionally, players can now select the stage at which they want to start from a new menu (below left) – a significant and much requested improvement. 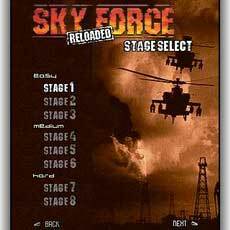 For those who have not previously had the opportunity to experience SkyForce, the game consists of your jet battling and shooting as many of the enemy planes, helicopters, artillery bases and turrets intent on ‘killing’ you before you can reach the end of each stage (you must also complete a certain total percentage of your own ‘kills’ before you can advance to the next stage – displayed on the top right corner of the screen). 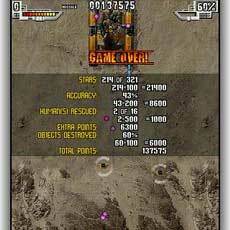 Every enemy object that you shoot down will also give you a certain amount of points which are displayed at the top center of the screen. Additionally, as you progress through the game you will have the opportunity to pick up some floating ‘wings’ which either provide you with additional weapons or replenish your ‘shield power’ (displayed on the top left corner of the screen) as well as ‘stars’ which will provide you with bonus points at the end of each stage. The game is played entirely using the 5Way buttons – typically with two hands to best control and move your jet around the screen. 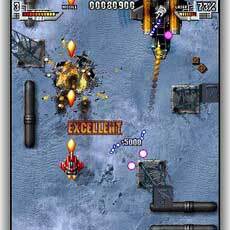 Playing SkyForce Reloaded will leave you buzzing thanks to the adrenaline flowing through your veins as you your entire concentration is focused on the myriad of enemy forces coming at you which you need to destroy – you may actually quite likely need to take a deep breath to relax after you complete the game. 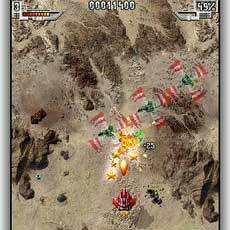 There’s no doubt that both versions of SkyForce are absolutely amazing and I would have actually loved to see Palm bundling one of them in the new Treo 700p. Additionally, with both priced at only $9.98 they are an undeniable bargain. 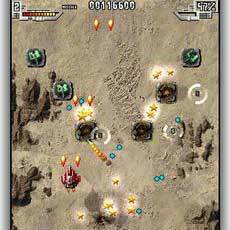 If like me you like arcade shooters then SkyForce and SkyForce Reloaded are two games that your Treo should not be without. The original version rocks can't wait to try the new one! your site is too hard to use. how can i download your game for free?